My source lies in Switzerland in the Saint-Gothard massif from where I flow to the Mediterranean. My course stretches 810 kilometres, including 72 km through Lake Geneva and 522 km in France. If I add that my discharge is impressive, capable of reaching 1,800 m3/s, can you guess who I am? The most powerful French river: the Rhone! Since Antiquity I have been an important trade and communication route before also becoming a great artery for producing energy in the 20th century. Impetuous, I often break my banks and cause severe damage. Men wanted to tame and channel me from the outset. Now they watch over me to preserve the wealth of biodiversity I harbour and develop my various uses, so that I continue to serve and enhance the territories I cross. I was born 55 million years ago, with the creation of the Rhone Valley: a huge gash caused by a division in the earth’s crust. Following marine, river and lagoon episodes, it was when the Mediterranean Sea dried up 6 million years ago that I finally forged my bed. My final metamorphosis occurred in the 19th century due to a change in the climate (the end of the Little Ice Age) linked to a modification of the socioeconomic environment (the rural exodus and the deliberate reforestation of the mountains) and a technological revolution (human beings henceforth had the technical means to control me with the structures they build). In Gallo-Roman times, I and my little sister the Saone formed one of the busiest corridors of the Roman Empire after the Nile. In the Middle Ages, I was used to transport salt, metals, wood and cereals. For long untameable, my great floods ravaged everything around me in 1840 and in 1856. Initially, men decided to carry out works to protect themselves from my fury, but also to make me navigable. Starting from 1884, the head engineers of the Rhone, Jacquet and Girardon, developed regularisation systems composed of spur dikes, levees, breakwaters, etc. In the 1950s these works were joined by hydroelectricity development schemes consisting of a dam, a hydropower plant, a lock and dikes built by CNR, the Compagnie Nationale du Rhône. A new chapter started about twenty years ago with attention given to studying my waters and restoring my natural courses. CNR has developed the Rhone Valley since 1934 and has grown around the concession to exploit the Rhone in the framework of three missions entrusted to it by the State: electricity production, developing river transport and irrigating the surrounding farmland. 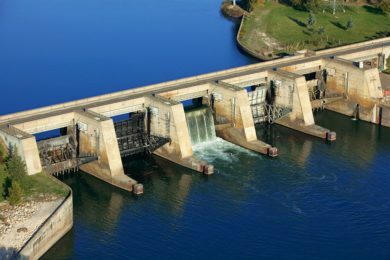 It has built and operates 19 run-of-the-river hydropower plants and it manages 27,000 ha of river and land that include more than 100 preserved natural sites. Endowed with the original status of a joint stock company in the public interest, CNR cultivates balance between economic profitability and the collective interest, private and public capital, investment and the redistribution of profits. In particular, it has carried out missions in the general interest since 2004 in association with the State and the actors of the Rhone Valley, to redistribute the value generated by the river to the territories. Hydroelectricity production along my French course varies according to my daily and seasonal discharges. However, it amounts to an annual average of 14 900 GWh generated by 19 heads exploited by dams and hydropower plants. In association with other plants, especially those in the Alps, we provide 93% of renewable electricity, making France Europe’s leading producer in this sector. The dominant position of my basin in electricity production is reinforced by high voltage power lines that follow the valley and interconnect the different production sites. The Saone and I have always formed a major corridor that links Northern Europe with the Mediterranean, providing a superb trade route. During the 19th century, the arrival of the railway led to a decline in my use. I had to wait until the structures built by CNR opened me up to receive wide gauge barges along 330 km, between Lyon and the Mediterranean, and give a new boost to river traffic in the Rhone Valley. 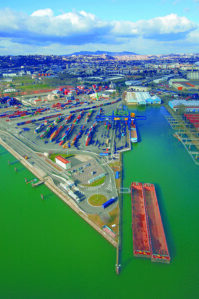 Today, 18 industrial and port sites form a network along the valley and Port de Lyon handles 12 million tonnes of goods a year. Thanks to 40 water intakes I irrigate 120,000 hectares of crops for a total irrigable surface area of 190,000 hectares. 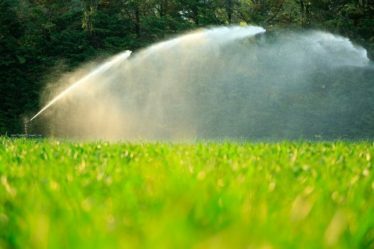 50% of the withdrawals of water from my tributaries and my surface water are used to improve the productivity of the crops that cover the land on either side of my banks. In Drôme, the region’s leading agricultural department, 80% of the water used to irrigate the farmland there comes from the river Isere and from me. Agriculture in the Rhone Valley is diverse in terms of farm size and crop diversity, but it must now face major challenges: those of adapting to better manage ever decreasing water resources, and improving energy performance while ensuring sufficient good quality production. Besides agriculture, I’m needed by other sectors such as nuclear energy since my water is used to cool the reactors of nuclear power plants, and for chemical and petrochemical and cement production plants. After decades spent taming me, human beings now also want to exploit my touristic advantages. My banks have been developed to allow strollers, cyclists and roller skaters to enjoy the scenery. Canoeists, swimmers, jousters and pleasure boaters also benefit from my water. The ViaRhôna, a cycle track that links Lake Geneva with the Mediterranean, allows cyclists to discover the territories I cross at their own pace. An increasing number of tourists also discover the beauty of my landscapes on cruises. A large number of landing stages have been built to receive these new river cruise liners that ploy my waters. Straddling two countries, I’m not immune to cross-border tensions, emphasised by climate change whose impacts have been poorly evaluated by most of the actors involved. A legal framework must still be found to regulate the strong independence of both countries regarding my water. The aim is to build a genuine framework, beyond occasional collaborations, that takes into account all the stakes in play. However, exemplary collaboration have been already been organised for several years to manage sediment transport along my course. The political will to build a global and interregional management project has emerged due to the considerable importance of my many uses and the need for solidarity between stakeholders both upstream and downstream. 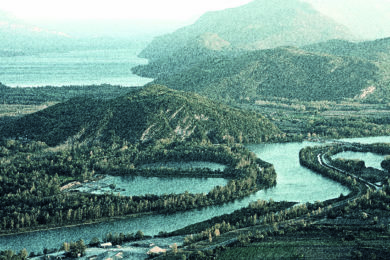 This process was accelerated by the severe floods of 2002 and 2003 which gave rise to the Rhone Plan. Although it was initially confined to a strategy for preventing floods, the need to extend it to other issues rapidly became apparent. The second Rhone Plan has been drawn up for the period 2015-2020. Ensure the long-term economic development of this strategic territory. The plan is organised according to six thematic sections: heritage and culture, the prevention of flood risks, water quality, resources and biodiversity, energy, river transport, and tourism. Despite all the efforts made to use my resources and profit from my touristic charms, I’m not spared from the impacts of climate change. They affect my discharge, the temperature of my waters and exacerbate extreme events (low flows and severe floods). For example, in 2017, a year of severe drought, my average discharge fell by 30% in comparison to that recorded over the last twenty years. Ice melt is another of the phenomena that particularly weaken me. The specialists that examine my future state estimate that in winter snow will remain only at higher alpine altitudes, and that greater evaporation will decrease my annual discharge and aggravate the low summer flows of many rivers. From now to 2050, I will have structurally less water, from -10% to – 40%. These climatic effects will obviously lead to tension between my users. Danger, beware of water pollution! Industrial activities are developing all around me, large towns are growing, while intensive farming and the closeness of major roads undermine my strength. The presence of different substances has been identified, especially downstream of Lyon. Thanks to my capacity to dilute, the contamination observed mainly resides in the sediments and relatively little in the water. However, effects have been detected in living organisms. 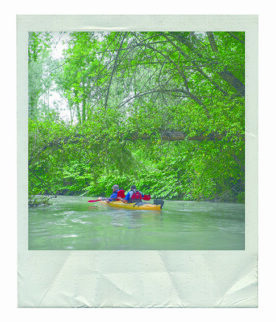 Hello, I invite you to visit the following page, on the Initiatives for the Future of Great Rivers (IFGR) website :Rhone https://www.initiativesrivers.org/rivers/rhone/ Best regards.